So today was my 48th birthday…aaaaand I’m on a business trip. Thankfully, with technology, I did get a bunch of b-day wishes today through Facebook and texts…which was nice to see throughout the day. 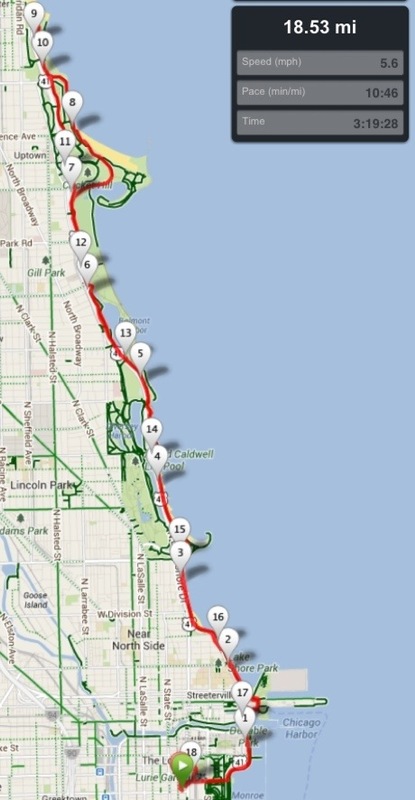 I headed North out on Chicago’s Lakefront Trail and went to the northern end and back – 18.5 miles total, door-to-door. It felt pretty good. I modified my run-walk ratio to 3:1 today and that seemed to be better on my knee. I managed a 10:45 pace, obeying my doctor’s counsel about keeping it slow and ran on crushed rock paths when I could. There were tons of runners out later in the morning – I think prep training for the B of A Chicago Marathon kicked off today for a lot of clubs in the area. My card from my wonderful wife! My friend Denise sent me a birthday text while I was on my run. Birthday [short cake][short cake][short cake][short cake][short cake]!!!! I totally started cracking up when it was read…! The rest of the day was spent either in my room chilling or in my meeting this afternoon. 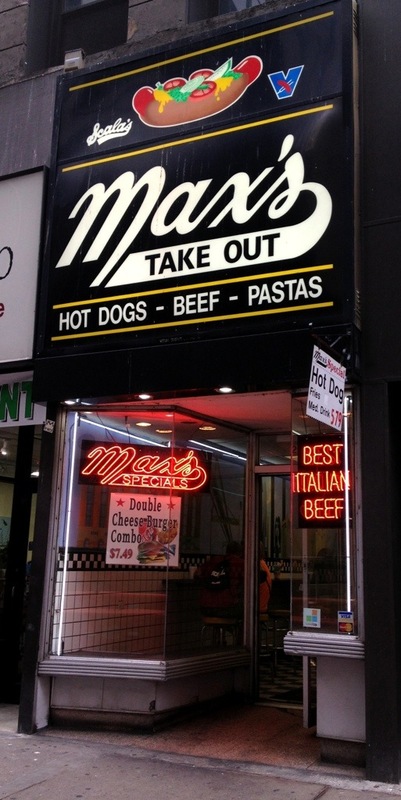 I hit a local burger place for dinner (by myself) and then headed to a mixer for the conference. Comments: I did 18.51 @ 10:45 min/mile pace. Felt good to run and the 3:1 run:walk ratio worked better than the 4:1. I’m still working on the race report for last week’s Half Marathon…hopefully I’ll finish it tomorrow evening.